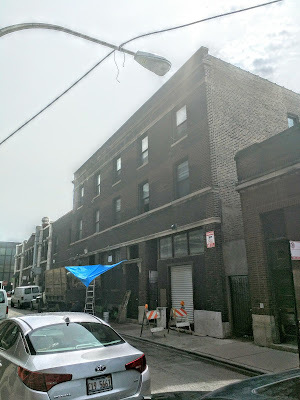 Work is underway on Cedar Street/FLATS planned rehab at Wilson & Clifton. You might recall that the building is being gutted with the 40 rental units being geared toward artists. This building includes the 3 story section shown here on Clifton, just north of Wilson with plans to add ground level retail. New retail on this section of Clifton? Would've been unheard of 5 years ago, but now it is becoming reality.